Box has a satin finish. 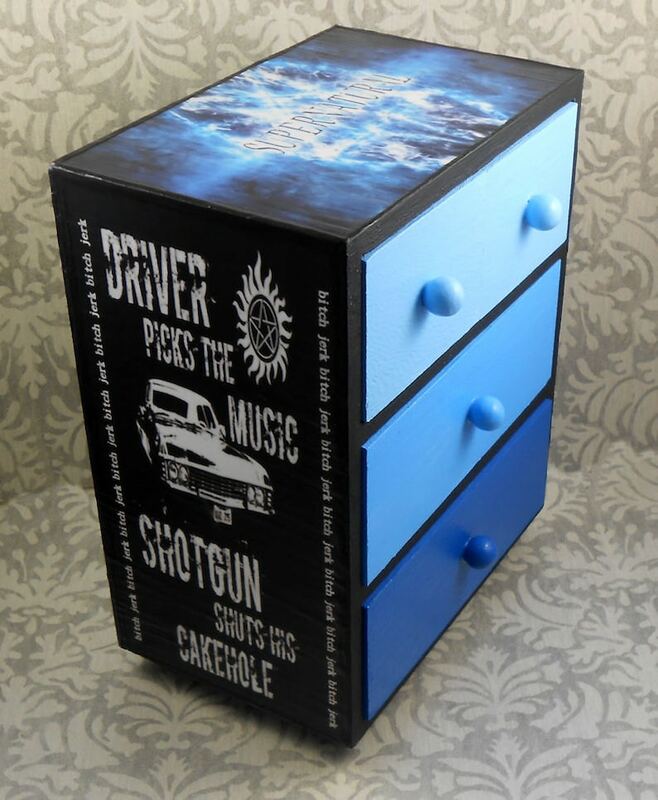 purchased as a gift for a Supernatural fan, they absolutely loved it. craftsmanship is superb. thanks for sharing your talent! It’s a bit smaller than I thought it would be but that in no way, shape, or form takes away from the beauty of it ! !